Colossians Bible Study - April 22nd - May 19th, 2019. Join Bob Yandian in a study through the Book of Colossians. Epaphras, pastor of the church at Colosse, reported to imprisoned Paul that false teachers had infiltrated the Colossian church and were poisoning it with Gnostic doctrine. Paul’s response was the book of Colossians, a rich concentration of Pauline revelation concerning the supremacy of Christ and the way believers are to live because of it. Dedicate a portion of your day to study, pray, and meditate on the word of God. Not only will you increase in joy and enthusiasm, as you study you will begin to hunger for more of God’s word. This Bible Study will last 4 weeks. One chapter per week. 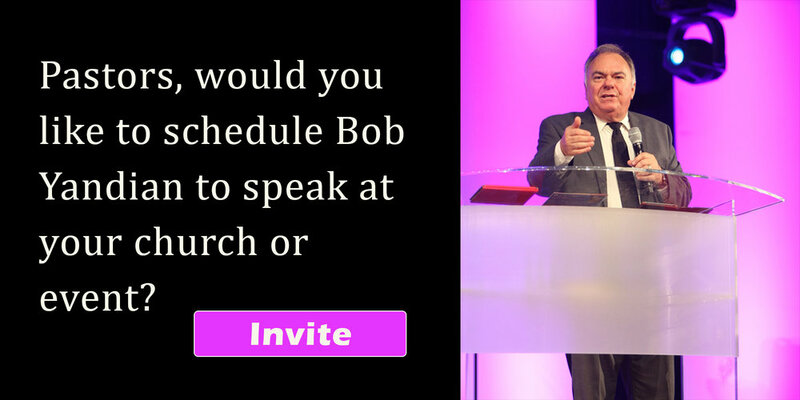 Pastor Bob will post a video summary of each chapter at the beginning of the week. The book "A New Testament Commentary - Colossians by Bob Yandian"
Paperback book: https://www.bobyandian.com/books/colossians-commentary-paperback use promo code HOPE for free shipping in the US. Apple iBooks: Open the iBooks app and search "Bob Yandian Colossians"
Check in for updates. For each chapter Pastor Bob will make a video and give an overview of the material. The videos will be posted to this page, our Facebook page, and YouTube channel. Sign up for Bible Study email updates below to get all of the updates sent to your inbox. If you signed up for the Acts, Galatians, or Philippians Bible Study updates you will already be on the list.